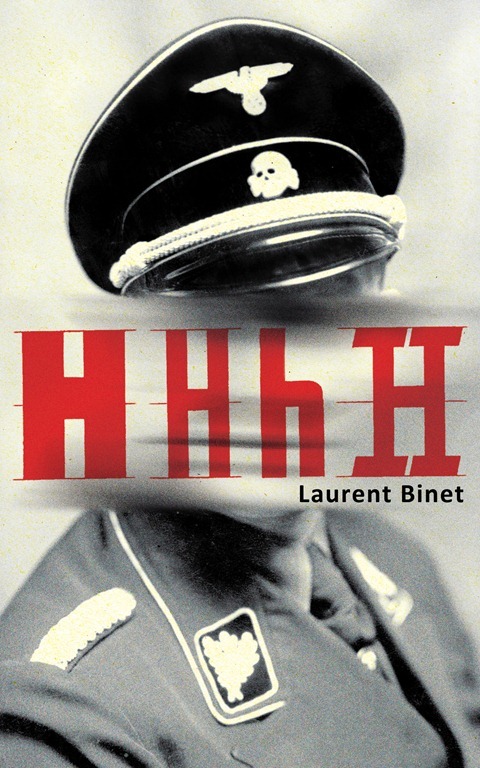 Laurent Binet’s debut novel, the oddly-named HHhH, appealed to me on two different levels: first of all, as an avid consumer of any and all information concerning the Third Reich and the Holocaust, and secondly, as a lover of the beautiful city of Prague. Unsure what to expect when I started to read this odd, but strangely engaging novel, I was not to be disappointed on either level. Early in the book, Binet sets out his stall, and defines the parameters of this extraordinary novel: he will stick to the facts, with no embellishments. Where dialogue is required, it will be based on documentary evidence of some description, or it will serve to illustrate a point, and be marked as an invention of the author. What he ultimately produces is littered with invention and coloured by the personal opinions of a man who has been living with the story since childhood. If not for the polished prose and level of detail included on the central storyline, this could almost be an annotated early draft, littered with the author’s musings, notes and questions for further research. But that’s doing this wonderful novel an injustice, because it is a finely polished work, exquisitely researched and unbelievably tense. Binet references earlier histories, and fictional attempts at chronicling this period of history, or this group of monsters, including two of my own personal favourites – Robert Harris’ excellent alternative history of the Reich, Fatherland, and the wonderful BBC dramatisation of the Wannsee conference, Conspiracy, with Kenneth Branagh and Stanley Tucci in the key roles of Heydrich and his own right-hand man, Eichmann – revealing an interest that verges on obsession. Despite the interruptive style, HHhH builds in intensity as history pulls us inexorably towards the morning of May 27th 1942. The central storyline culminates in the 17-page Chapter 222 (the book is barely over 300 pages long, which should give you some idea of the average chapter length, and the relative importance of this one) and again in the 14-page 250th chapter, both of which seem designed expressly to take the reader’s breath away and keep them glued to the page. They succeed. The first details the assassination attempt itself and, from multiple viewpoints, the stories of each of the protagonists as they once again diverge from this nexus – Gabčík and Kubiš as they flee for their lives; Heydrich as he collapses and is rushed to hospital. The second details the siege of the church where Gabčík and Kubiš have holed up, waiting for the opportunity to flee the country. Then the Germans begin to do what will soon become their favourite occupation: they divide the group in two. Women and children are locked up in the school, while the men are led to a farmhouse and crammed into the cellar. HHhH is an extraordinary piece of work, a book that sets out to be a historical document and ends up as something completely other. At times tense and thrilling, at others touching and intimate, the author manages to endow this story and these characters with a three-dimensionality that would otherwise be lacking in a straightforward reportage of the events. We are also offered a unique insight into the mind-set of the author, whose sole task should be to relate the events as they happened, but who is so invested in the story that impartiality is impossible. At once accessible history and fast-paced thriller, HHhH is, to overuse a cliché, like no book you’ve read before. Three short weeks after calling Stephen King’s The Wind through the Keyhole the best book you’re likely to see this year, I am forced to eat my words, and make the same ostentatious claim about Laurent Binet’s HHhH. It’s an awe-inspiring debut, from a writer of enormous talent and immense potential. We can only hope that the story of Heydrich, Gabčík and Kubiš is not his only obsession, and that we will hear from him again soon. I think you’ll love it, Stu. I’ve been a World War II propeller head in the historical sense with less interest in fictional takes on that chapter in world history. From everything you said, I get the sense HHHH is a work of World War II historical fiction I’d be mighty interested in. The emphasis is very much on the history. There are no fictional characters, and any fictional situations have been added by the author to make a point, or try to outline the most logical course of events in situations where he has no eye-witness statements. I’d be very surprised if this wasn’t right up your street. Let me know if you decide to give it a try.